Apologies for the large gap in posts recently, I've been without decent internet and engrossed in exploring the islands around the Gulf of Thailand ;)! Just a reminder that the Stampin' Up! 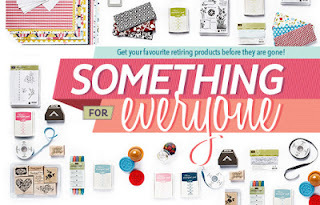 retirement list was released at the beginning of June as the new catalogue will be available on 2nd July, so there are still products available whilst stocks last, until the end of the month. Just email me at jadedcrafter@gmail.com to place an order. Do note that I am currently out of the UK but can easily arrange for your order to be shipped directly to you (normal fixed delivery charge of £4.95 applies).